When disaster hits your home, the number one goal is restoring your home and life back to normal as fast as possible. At DriForce Property Restoration, we have the skilled technicians, the resources and the experience to handle any problem and deliver quick solutions. 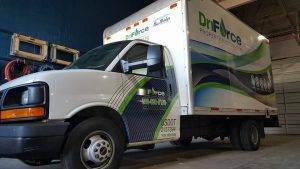 Whether you experience water damage in Novi, MI or are looking to have your home remodeled, DriForce can do it all. We have provided residential and commercial property restoration services in Novi since 2009. With live operators on call 24 hours a day, you can be sure that your home or business will be taken care of in a timely manner. We have seen firsthand the kind of disturbance that damage to your home or business can bring to your life. We understand that we need to act quickly so your life can return to normal. However, we also take pride in taking the time to do the job right. This balancing act is difficult, but our professional restoration experts have mastered the process and provide consistent, quality results. Our skilled technicians know that a home or business is one of people’s’ most prized possessions. So, when damage hits your property, we begin the restoration process right away. Our workers will be there on the same day to assess the damage and begin working. The weather in Novi can be extremely unpredictable. Residential homes can often be left susceptible after drastic changes in the forecast. That’s why DriForce trains its technicians in a wide variety of services. We are confident that we can remediate any damage your home or business suffers. Water Damage Restoration: From water extraction to drying and dehumidification, we will completely restore your water damaged home. Fire Damage Restoration: The fire damage restoration process is very tedious and dangerous. Removing all of the smoke and soot as soon as possible is vital for the health of you and your home. Mold Remediation: Mold growth and mold damage can be devastating to your home and life. We are the go-to Novi mold removal company that is committed to getting the mold removed as fast and thoroughly as possible. Home Remodeling: In your eyes, your home might have been damaged from the moment the floorplan got approved. We provide expert remodeling services to give you the home of your dreams. Storm Damage Repair: Whether you experience flood damage or a fallen tree, storm damage can leave you with endless problems. We act quickly and start fixing your home immediately. Contents Restoration: From furniture and electronics to artwork and photographs, DriForce is proud to provide contents restoration to our loyal customers. Damage to your office building and commercial property can cause a major disruption in your day-to-day operations. That’s why it is vital to find the right restoration company that can come in and restore your property as fast as possible. Our workers will be there on the same day to assess the damage and begin working. Don’t wait any longer! Contact us today at (877) 638-0081 to speak with one of our live operators. You can also fill out our free online quote form.